For reference, here is my mix. Please note that this mix was arrived at to put insulating refractory in a gasifier. This gasifier is bound for rural Mozambique. 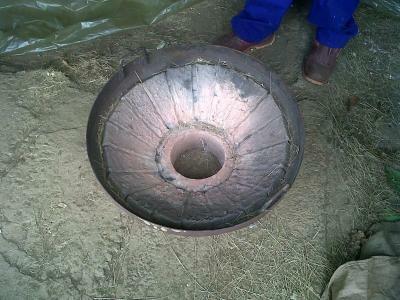 The requirement therefore was to use readily available materials ie clay, sand, sawdust and water. 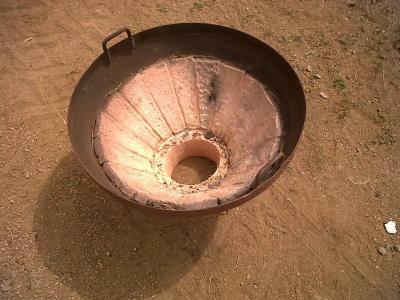 You can substitute the sawdust with anything that will lead to gas bubbles once it has been fired. Typically you can use mica, sawdust, shredded paper, fine biomass, polystyrene balls though these have to be fine, etc. As the system heats up, the biomass burns out and leaves voids in the structure. There is a good set of photos in Aprovecho where they make Rocket stove refractory. I then formed the final mix into triangular shaped bricks, dried them and fitted them into the frustum (chopped off cone) section of a furnace made from steel. I used straight clay as filler between the joints. I also made a 1" thick wall pipe using a cut off tin for the outside and a piece of PVC pipe for the inside. 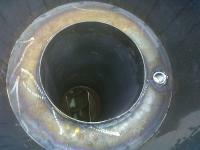 The mortar pipe fitted into the furnace outlet pipe fitted to the bottom of the cone. Mounting the furnace on bricks (to let air in from the bottom), we made a serious covered fire inside the refractory to cure the lot. It has come out very well. You will see two different conical set ups - one is a 60o cone and the other a 45o cone both with pipe outlets that are also lined with a 1" thick refractory pipe. Both are a yellow colour (the bluish one was photographed inside).